Orthodox Jewish families in Brooklyn filed suit against the city Monday morning accusing public health officials of overstepping their authority by ordering all people in Williamsburg to be vaccinated for measles as the community and the nation face a record outbreak of the potentially deadly virus. “There is insufficient evidence of a measles epidemic or dangerous outbreak to justify the respondents’ extraordinary measures, including forced vaccination.” Robert Krakow, the lawyer for the parents, argues in the suit. There have been 285 confirmed measles cases in Brooklyn and Queens since October 2018, according to the city. On Monday, the Centers for Disease Control announced a drastic uptick — 200 cases — over the same period last year. The parents, who were only identified by their initials, say in the suit that Dr. Oxiris Barbot, the commissioner of the Department of Health and Mental Hygiene, failed to try to quarantine the infected people, as she is authorized to do under the law. 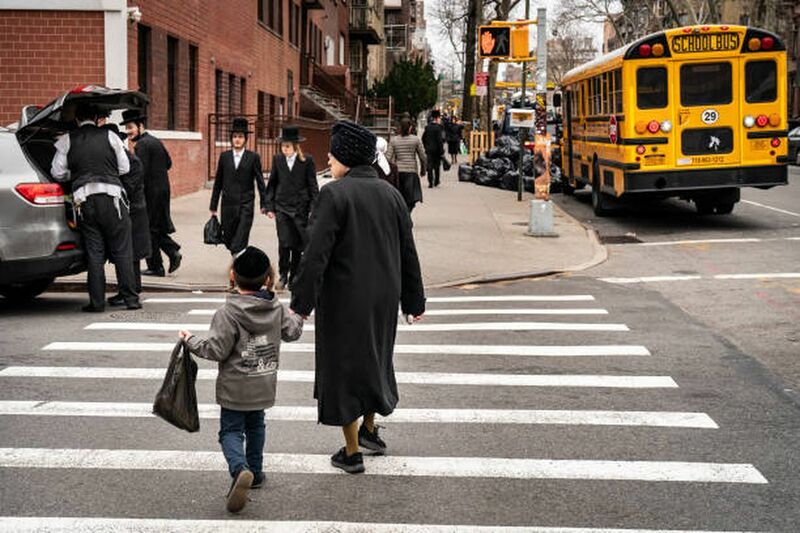 The outbreak in the Orthodox Jewish community has raised some constitutional issues regarding freedom of religion, an issue also raised by the parents filing suit.